AFFORDABLE LIVING in popular Hideaway Park! Enjoy the peaceful surroundings, backed by a greenbelt, walking distance to trendy Newport Village in Pt. 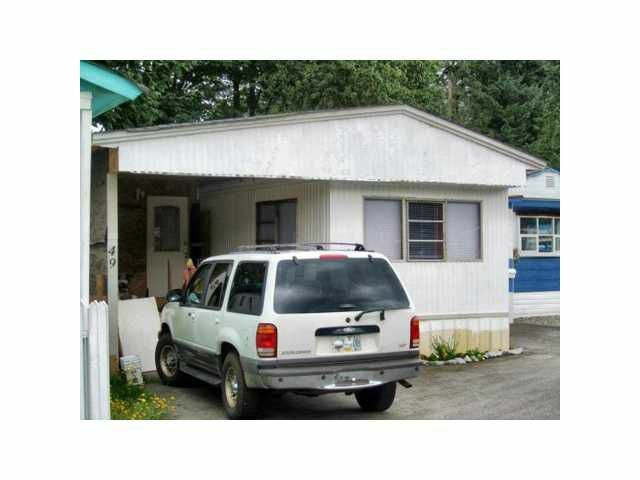 Moody, Library, Community Centre & short distance to Coquitlam Centre Mall.This bright remodelled Manufactured home has 1 large bdrm & a 12'x18' ADDITION which is ready for your ideas. The kitchen & family room has an Open floor plan; Updates boast newer appliances; furnace, hot water tank, washer, dryer, stove, fridge & kitchen has newer cabinets, counters, sink & faucets. Updated laminate flooring, windows, a new roof & garage. This home is a handy man special or the Seller may be willing to customize the M/H to suite your needs. Pad rental is only $380/mth.